I’m back for the first time since doing the trip four years ago…this time for a conference and then for some reporting out of the West Bank. 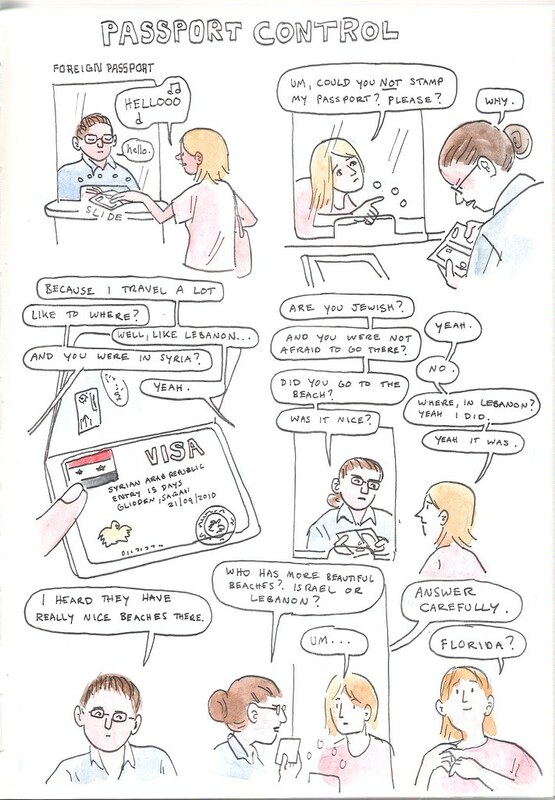 Here’s a little quick comic about getting through passport control which I was a bit nervous about..
Hahahahahaha! This is so good. I love the final panel! Thanks for sharing. I recently finished reading “how to understand Israel…”: excellent content, inspiring, loved it. I am a bit familiar with the country and its people, have kind of similar background, used to have biased opinion on the “situation” some time ago… but never pushed the thinking and the experience that far.